The Library publishes works that have been rigorously reviewed. In this section of the site you will find fully edited plays and fragments, together with commissioned essays on topics relevant to their study and appreciation. Additional materials that have been proofread, but not fully reviewed, are published in the Annex. 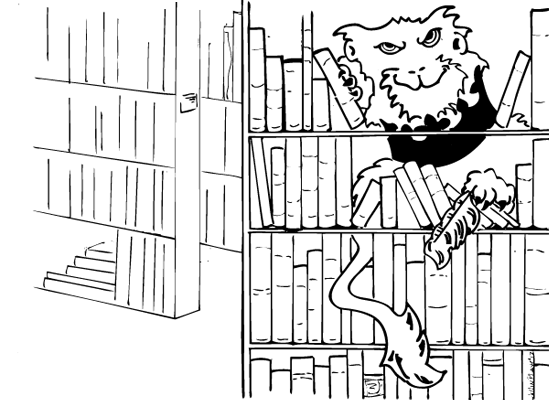 Keep an eye out for the DRE Lion rummaging through the bookshelves. Illustration by Jillian Player.